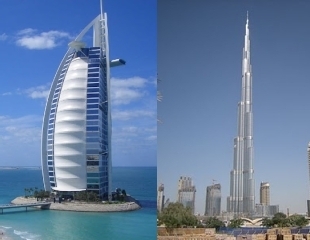 From the world's highest building to the world's most famous hotel, Dubai offers great sightseeing opportunities. The lack of historic landmarks is more then made up for by extravagant construction projects that break one world record after another. It can be hard to believe that only fifty years ago Dubai was just a small village in the desert. When it comes to shopping, there are three reasons to visit Dubai - gold, gold and gold. It is sold in the shopping malls, in the street shops, even in vending machines, but the ultimate gold shopping location is the famous traditional gold market - the Gold Souk. 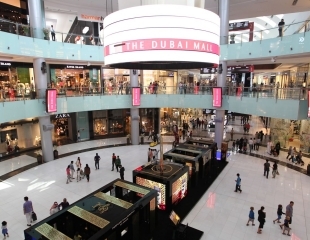 Besides gold, Dubai also offers some of the world's largest and the most luxurious shopping malls. Some of Dubai's most popular attractions, like Ski Dubai or Dubai Fountain, are located inside shopping malls, which offers a unique opportunity to combine shopping and sightseeing experience. Skiing or ice skating in the morning and swimming in the ocean with dolphins in the afternoon. 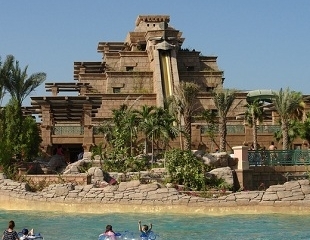 Dubai features a unique combination of summer and winter activities next to each other. A short drive away from the city, the desert offers plenty of additional adventures. 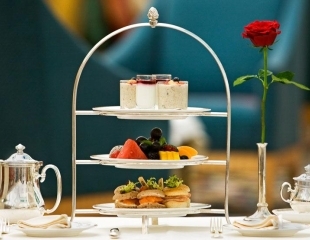 Dinner in the world's highest restaurant or an afternoon tea in the world's most luxurious hotel, in Dubai there is a thin line between dining an sightseeing.